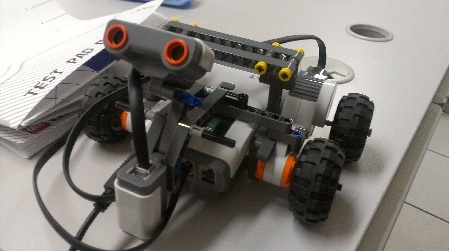 The purpose of this project is making a robot that can search a maze and go to the final goal. And we try to use a program to design a robot which can avoid some obstacle in front of itself. As this robot implied,it can't touch the wall of a maze and it should attempt to find out other correct routes to go to the goal.